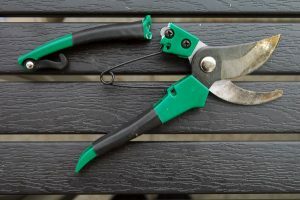 For many gardeners the cold weather signals that the time has come to pack up their tools until spring, however that does not have to be case. The winter months are a perfect opportunity for you to getting your garden to a new life and save yourself a bit of trouble when the temperatures finally start to rise again. 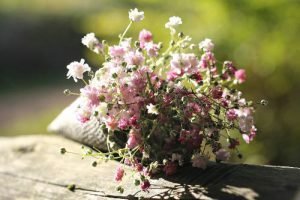 To help you out with this task, here is a list of a few gardening tips you can use to ease your workload come spring. 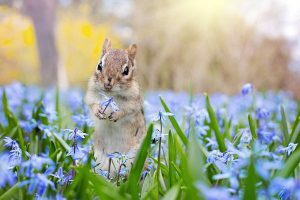 One easy way to make your garden more manageable is to let it run wild and create an environment that will invite your local fauna. Pick flowers like violets and marigold that will attract beneficial pollinating insects like bees and butterflies. Planting edible shrubs and placing small water ponds will catch the attention of friendly birds and mammals. A wildlife garden is an opportunity to help out your neighbourhood animals that come to visit often and in return they will help you out as well during the warmer seasons. If you haven’t already started composting, what are you waiting for? 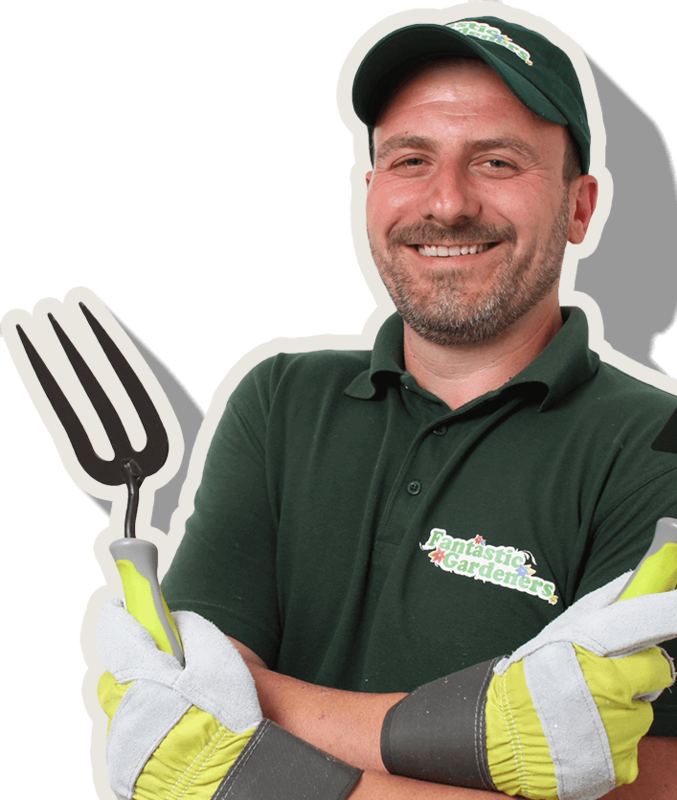 Composting is a perfect natural way to provide your crops with much needed nutrients, all the while finding a useful way to dispose of fallen leaves and cuttings. 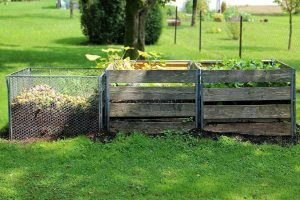 If you already do have a composting heap, the end of autumn will be the ideal time for you to use up your year’s reserves and make room for the new season’s garden waste.
] Have you been wanting to try out a new crop you weren’t sure about before? 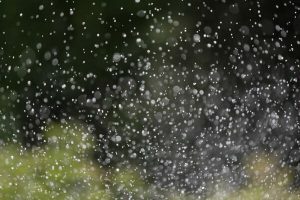 There are few weeds and low light levels cutting down on evaporation and the need to watering in the beginning of the year. This makes it the perfect time for you to take some gardening risks. Experiment with different types of plants giving them little protection to see what their needs could be and if you’re willing to accommodate them. Try different timings and a different rhythm and don’t forget that heat is much more damaging than the cold. Always remember to vent out the frozen pots of your plans. What better way to prepare yourself for the springtime garden workload than to get all your tools primed and ready? It’s time you finally fixed the stitching of your lucky gardening pants, or get new gloves to work on the crops you’ll be trying out soon. You can also invest some time in sharpening and spring cleaning your tools, as blunt ones do more harm than good. You should also pay some attention to your lawnmower and get it ready for work come spring. Another helpful thing you can do these days is to check on your gardening structures for any weaknesses or signs of rot or fix anything broken due to the strong winter winds. If your soils are soft, check on your younger trees as their roots would still be pretty shallow and could be knocked over and cause structural damage. Don’t forget to check the older trees as well for any rot that could affect their roots and make them weaker.
] With days being colder, your lawn probably doesn’t look so happy. This is a good time for you to give it some new life. 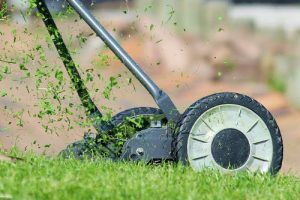 You can rake out old grass clippings and moss to add to your compost and take care of the path and play areas of your lawn, where the soil could become compacted, by improving drainage and aeration by adding deep holes with a garden fork every 10 cm or so. For more info on how to take care of your lawn throughout the year, visit our lawn care calendar. That is, your greenhouse. Usually, it’s best to clean it deep in winter not at the end of it, but it highly depends on the crops you’ve chosen. If you grow specialised plants that grow all year-round, you should clean the greenhouse a bit earlier in the winter season. However, if you plant summer plants, such as peppers or tomatoes, clean it in January/February. 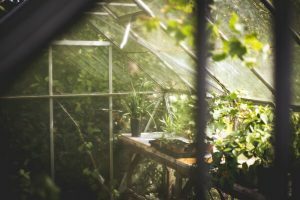 Check our greenhouse maintenance guide for additional info on how to control humidity and pests. We’ve seen this tip pop up every now and then in February towards the beginning of spring. 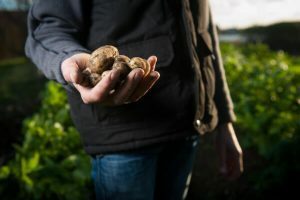 The term chitting is used for a gardening trick that helps the potato tubers (a.k.a. Seed potatoes) extend their period of growth. Ultimately, this raises the amount of crop later on the yielding season. Since the soil is still not warm enough to plant them, you can place the tubers in a container (Monty Don suggests an egg box) until the sprouts shoot in a few weeks’ time. Make sure space is bright, cool and especially, free of frostbite. Arguably the easiest task to do from the comfort of your sofa. Use February to plan your yearly crops to provide a good cycle and less opportunities for garden pests to develop. Make notes what is missing in your gardening journal. If you decided to experiment with plants, order the seeds now. You can plant perennials, trees, and shrubs in early spring. 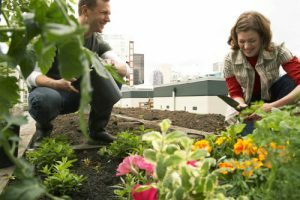 Even though most gardeners put away their tools when the cold seasons roll by, that does not mean there are not plenty of chores that could be done during this time. Plenty of preparations can be done to make your spring work more enjoyable. How do you prepare during the winter season? Do you have any other early spring tips for the garden you’d like to share? Leave us a comment below or give us a shout in social! Hi, I hope it’s OK to share this blog post? I’m learning some soc media stuff & made a short vid post. Not sure which platform yet, but will reference your blog. Think I’ll come back & subscribe as I’m a keen gardener myself. Thanks, any problems, let me know. Great blog post, really engaging. Here we are, spring is two-thirds over and everything is growing so quickly! This website is very informative – I’m back here all the time. Keep up the good work. This is a great post! We are going to share it with some of our current clients we are doing gardens for so they can be prepared for next spring! One of my favorite gardens was the one that was 1/2 a girly garden and 1/2 a man’s garden. It wasn’t so much the whole design of it, but there was a combination of the yellow hellebore, orange sedge, pink tulips and ‘Carmel’ Heuchera. It would only look good for a very short period of time, but the effect was impressive.